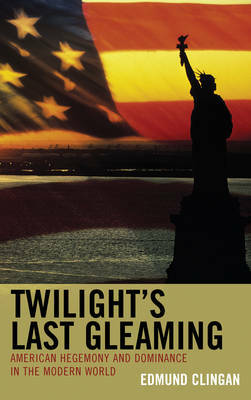 In Twilight's Last Gleaming, Edmund Clingan uses economic measurements to establish measures of political and military power. Clingan examines the changes in these measurements over the last two hundred years to establish how international power relations have been affected by changes in economic power. He considers the factors that contribute to and detract from economic power. Using these quantitative measures, he provides consistent definitions of "dominance" and "hegemony" that should become commonly used and contribute to more precise discourse in history and political science. These tools uncover the deeper issues behind the current problems of the United States.